It’s Saturday, and YOU need a beer. Here’s what’s going on at your favorite local breweries and distilleries around Maryland. Black Flag – Columbia – CAN RELEASE – 420 Haze-It : Festival and Double Can Release – the beer is hazy, the munchies are crunchy, and word on the street is that WOLO – Mobile Food Truck/Catering is even making fried chicken sandwiches served between homemade donuts! The beer garden is ready for you all and waiting to throw those bay doors open for some perfect 70* weather and outdoor seating! Chesepiooc Real Ale – Crofton – NITRO CREAM EGG IS BACK!! Our special, one of a kind, Easter Ale. A combination of Chocolate and Vanilla, with added Sweet Creme. Served on Nitro – an Easter Creme Egg in a glass! Taps at noon today. Crooked Crab Brewing Company- Odenton – GREAT beer, plus live music from Burt the Dirt starting at 7pm. Cushwa Brewing – Williamsport – Treat yourself!Gina’s Antojitos starting at 3 serving up those tasty quesadillas and street tacos, beer is pretty amazing too! Diamondback Brewing – Baltimore – Greener Fest is happening TODAY! Flying Dog Brewing – Frederick – Hemp Hop Hooray day at the brewery! Full Tilt Brewing – Baltimore – DOUBLE BEER RELEASE – THE BEGINNING, THE END – Orange Blossom Honey Saison – 6.6%. We are super pumped to finally be putting this one on tap. This extremely refreshing Saison brewed with Orange Blossom Honey and Lemons was what Brian Lil’b Smith brought to his interview for the Head Brewer position and ultimately one of the main reasons he is now the MAN for the job! BST – Session IPA – 4.7%. Though the Saison got his job here, the dude is hardly a one-trick-pony. This is extremely evident in this delightfully easy to drink Session IPA. Though a lower ABV take on an IPA, the hop character (Ekuanot, Falconer’s Flight, and Amarillo) on BST is anything but light. Idiom Brewing – Frederick – Today at Idiom Brewing Co.:Open from 12-11p with our partners in crime Gambrill Mt. Food Co. doing their thing. Take a look at those Truffle and that Banh Mi! Heaven… and enough to share! Mad Science Brewing – Adamstown – It’s a gorgeous spring day! The Sweet Farm and The Otherside Band are here today plus it’s our First Annual Easter Egg Hunt. There’s something for everyone! Milkhouse Brewery at Stillpoint Farm – Mount Airy – FLASH CROWLER SALE TODAY!! Stock up for Easter Sunday-3 for $20 or 6 for $35! Come enjoy the sunshine at the farm today. Tasting room opens at 1, live music with Anthony & Alan starts at 5. See you at the farm! Mully’s Brewing – Prince Frederick – GREAT beer, plus Calvert Crabs & Seafood has an awesome menu for today…. For the record the wings are AMAZING! Come get awesome today! Patuxent Brewing – Waldorf – It’s happening today the LaPlata’s Farmer Market! Come sample our latest “Annexation”and purchase a Growler to go! Rockwell Brewing – Frederick – ✨NEW SAMMIE ALERT! Seared Cod Wrap: W/ pickled green beans, red onion, roasted red peppers, feta dressing and mixed greens. Come in and try it today paired with Rapture our Blonde Ale. Did you know we’re open till 11:30 on Saturdays?! Well it’s true! We open at 12 and stay open late tonight! Swing on in. Silver Branch Brewing – Silver Spring – Wear your Caps gear tonight from 5-8pm, and get your first beer for only $1! True Respite – Rockville – Live music with the Liz Springer Duo today from 6-9 pm! Honeybees Food Truck will be on site from 4-8 PM serving their delicious teriyaki stir fry. Happy Saturday! Waverly Brewing – GREAT beer, plus food from Cajou! Know of others we’re missing? Drop us a line & we’ll add it to the list. 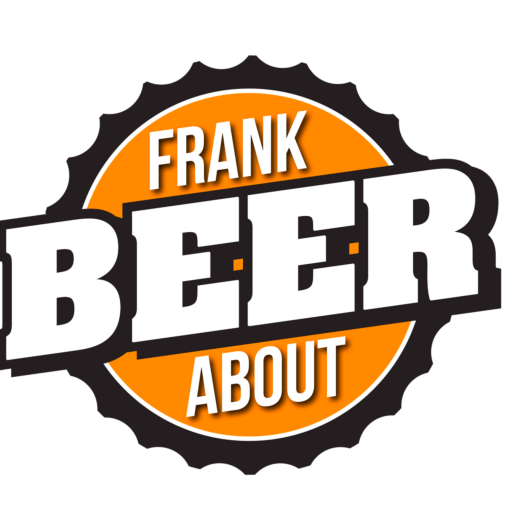 If you go, be sure to tell them you saw it on Frank About Beer. Cheers!